For this month’s Traveling With Kids column I wrote all about my favourite and relatively pain-free way to save money for future travel adventures with your family. 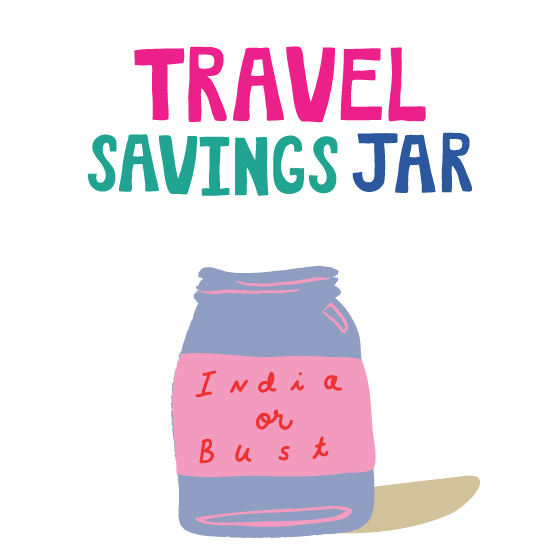 The Travel Jar has worked for us for years and has provided spending money for some of our favorite trips around the world. So if you’re in need of a way to help your family save a little bit of extra cash this is the thing for you! Read full post here. *Not long ago Inghams Italy Travel Site and Tours contacted me about sharing some of my experiences about living and traveling in Italy as a family. Inghams Italy compensated me for writing this post but all experiences, thoughts and ideas are my own. Over the last 13 years my husband and I have lived  and raised our 3 children in Italy and done our fair share of exploring this beautiful country as a family. When considering travelling to Italy, one traditionally thinks of the wealth of historical sites, the breathtaking art and architecture, and one of the best loved cuisines, all within the stunning natural beauty  from the Alps to the Aegean – a perfect tourist destination. But, one of the things I love most about Italy, is that it is a family centric culture. Here, in Italy, family has the highest priority and this shows in how they treat travellers to their country, especially families. Inevitably, you will encounter kind and generous people who will go out of their way to make your small travellers happy and comfortable. Italians love the little ones and aren’t shy to show it – usually by squeezing cheeks and loudly proclaiming “che bel bambino!”. No worries, your kids will get used to it and will most likely return home with an amazing sense of self-confidence. Living in Italy has given us the inside scoop on the best places to visit, most comfortable accommodations, favourite places to eat out and just about anything else you would need to know about traveling through Italy in famiglia. Italy is world renown for its delectable cuisine and luckily it’s also one that most kids absolutely adore. On just about any menu your kids will find something they’ll love to eat (and recognise). Some favourites of local Italian kids are Pasta Rossa (pasta with tomato sauce), Riso Giallo (saffron risotto), Milanese con Patatine (breaded pork cutlet with french fries) and of course Pizza Margherita (pizza with tomato sauce and mozzarella). And if you don’t see something your child likes on the menu don’t be afraid to ask – they are usually more than willing to whip up a simple pasta for the little ones. My kid’s favourite thing to order in a restaurant is a variety or antipasto plates. 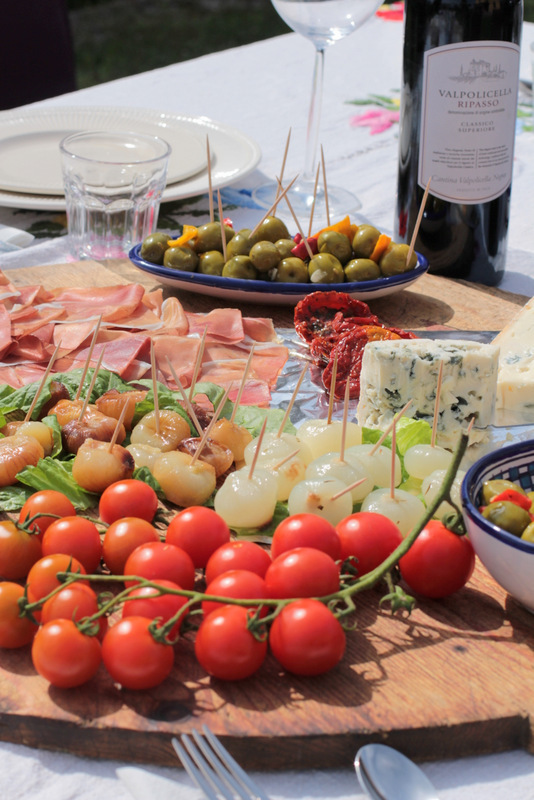 You can’t go wrong with sliced meats, cheeses, olives and fresh Italian bread. 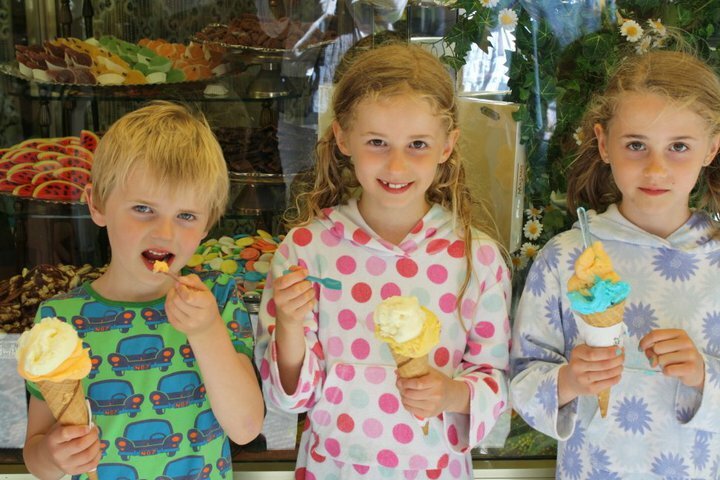 Of course one of the main gastronomic attractions for kids in Italy (and adults actually) is the iconic Italian gelato. Gelaterias are found on just about every street corner and are usually made with fresh, high quality ingredients. A promised gelato will help kids get through the museum visits, the long hours of pavement pounding, the intense summer heat and the over exhaustion of traveling that can sometimes get too much for them. Look for signs that say Gelato Artigianale for the highest quality and home-made ice cream. And remember in the hot summer months it’s quite normal to visit a gelateria more than once a day! When traveling with kids you can never go wrong with a beach visit. And Italy boasts both a myriad of coastlines and beautiful lakes to choose from. The world famous Costa Amalfitana (Unesco World Heritage Site), the Ligurian coast with it’s famous Cinque Terre villages, the Northern Lakes including Lago Como and Lago Maggiore and the pristine aquamarine waters of Sardinia will be appreciated by the whole family. 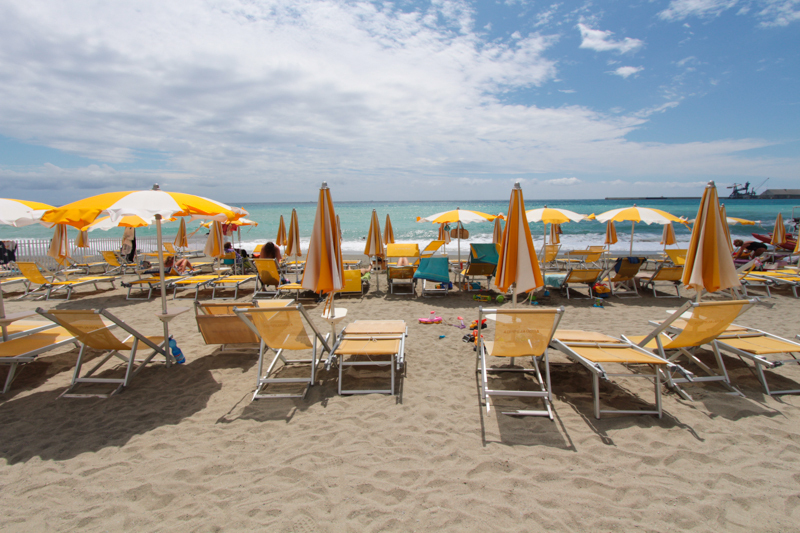 Italian beaches are very family friendly with chairs and umbrellas for rent, small beach playgrounds and restaurants just metres from the water’s edge. From here, parents can enjoy a plate of fresh Fritto Misto while watching the kids frolic in the warm waters. Warning: since one has to pay for a space,  these beaches can end up being quite pricey but well worth it for a few days of relaxing family time. My newest Traveling With Kids column is up on Classic Play today. This time I’m talking about the Couch Surfing organisation and how it turns out to be quite family friendly. Surprising for everyone, I’m sure. I’m still not 100% sold on the idea but I find it so fascinating. Pop on over and let me know what you think and, more importantly, if you would ever do it. 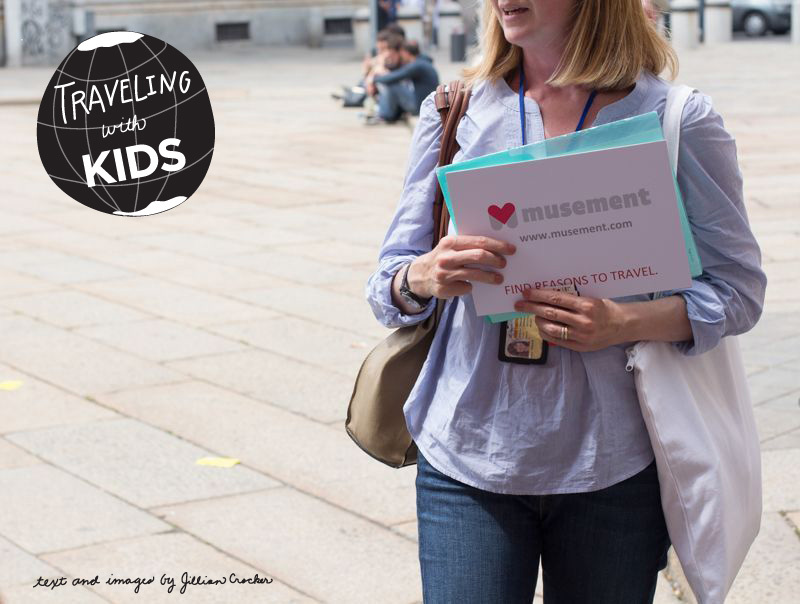 A few weeks ago I had the pleasure of testing out a new Cultural/Travel App called Musement. It was a great experience and an app that I’ll be using often on my family’s upcoming travels. Find out what it’s all about and how it can make your travels a lot less stressful and enjoyable over on Classic Play (as well as what we did with it!). Hint: it involves skipping line-ups at your favourite museums and events! I’ve finally managed to write a little post about one of our favourite places in the world, Cape Breton Island (in Nova Scotia, Canada). I have many fond memories of visiting the island as a kid and teenager and was so happy I could finally take my own family there last summer. Cape Bretoners are some of the kindest people in the world and will go out of their way to make sure your time visiting their island is the best it can be. 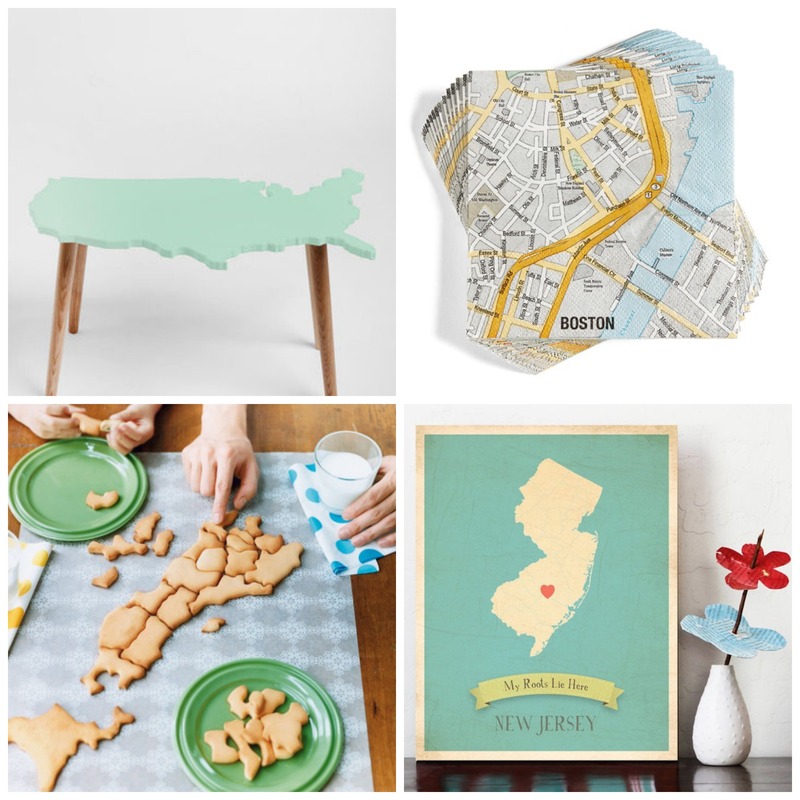 Click over to Classic Play to hear more about what the island has to offer. And if you’ve already visited the island I’d love to hear what you enjoyed the most while there.